Creating new opportunities for the next generation. The Marijuana Industry is Growing but is it an inclusive industry? When I started my campaign in Brooklyn, New York, I’ve attracted a wide array of supporters from older retired teachers to Russian-American immigrants. One of my favorite supporters was a young gentleman who made his living dealing marijuana. He was young, ambitious, thoughtful man who wanted a better life for his family. He talked about not having enough food at home and he thought this was the best option to provide for himself. Alexis Krase is one of 40 New York–based entrepreneurs who have raised some $280,000 in capital using “WE Fund: Crowd,” a city initiative designed to champion women business owners. Any woman in New York can apply for a zero-interest loan of up to $10,000 on this Kiva crowdfunding page, and the city will fund the first 10 percent of the money she needs — lending with no fees, no interest, and no minimum credit score. Mayor Bill de Blasio has said the $3 million program aims to reach 500 women over the next three years. 21 Savage was recently on the Ellen Show to discuss his commitment to financial literacy. @21savage is doing something absolutely amazing. I can't wait for you to see it. Savage just announced a North American tour with Post Malone and SOB x RBE starting April 26 in Portland, Oregon. June 3, 2017 – Good Management & Investments (GOOD) partnered with the Small Business Administration (SBA) to select a regional winner for InnovateHER. Over 80 women submitted their business plan to improve the lives of other women and families. The event was held on June 2, 2017 at 6pm at the Co-Lab Factory. “Women-only pitch competitions was an eye-opener for me. It had a completely different feel than other pitch competitions that I have seen in the past,” said participating judge, Busayo Odunlami, the Chief Operating Officer at Venture Smarter. “I am positive that the future of CEOs of Fortune 500 companies reside in this room.” The event had founders of OuiShave, Sukoon Active, and LuxLock in attendance. However, the judges selected Bianca Cabrera’s pitch for Goals Genius as the regional winner. Ms. Cabrera has been a special education teacher for over five years. While her founding partner Craig Limoli is an MBA candidate at the Wharton Business School. He has worked in technology strategy consulting for IBM. Goals Genius has already received the Social Innovation Award from Teach for America. If they receive the first place award through the InnovateHER award, they would have enough funding to complete the prototype. Mr. Limoli remarked that, “The entrepreneurship course offered by Good Management & Investments has helped us put together the missing pieces of our business plan.” While other participants such as, Kim Bush of Baden Baden Bath House, used the course to formalize an idea into a working strategy. After the success of working with the SBA for InnovateHER, GOOD is looking to hold more pitch competitions in the coming year. Good Management and Investments was founded in July 2016 to fulfill the market’s need for low-cost affordable business consulting packages for new entrepreneurs. Its mission is to value human capital and productivity. May 12, 2017 – Good Management & Investments (GOOD) is partnering with the Small Business Administration (SBA) to select local winners for InnovateHER. This local competition was established to encourage more women entrepreneurs in the United States. The event is held 6pm on June 2nd at the Co-Lab Factory (14 Dekalb Ave, Brooklyn NY). Eligible business owners are encouraged to apply here. Contestants will be judged based on providing products or services that have a measurable impact on the lives of women and families (30%), have the potential for commercialization (40%), and fill a need in the marketplace (30%). They are also required to provide a business plan. The local judges come from wide and varied background, but they all are focused on greater gender equity in the United States. Saeed Jabaar, the Executive Director at Inclusion, has volunteered his time to help assess participants’ ability to have a measurable impact on the lives of women and family. His company has helped dozens of people from low-income communities to provide greater security for their family through supplying in-demand job training. While Busayo Odunlami, the Chief Operating Officer at Venture Smarter and a consultant for the World Bank, has volunteered his time to assess the potential for commercialization. He has helped educate hundreds on finance and his work is leading the charge for smarter cities. Finally, Ebonique Ellis, the Chief Executive Officer at GOOD, will be assessing whether the product or service fills a need in the marketplace. She has worked with numerous small businesses across the United States to help them create added value for their company. Good Management & Investments is also offering an entrepreneurship course that will help participants write out a business plan. Although, the scholarship period has ended, the course is provided for the low cost of $45. Students in the class will have the opportunity to write out a business plan that can be used for the competition. Good Management and Investments was founded in July 2016 to fulfill the the market’s need for low-cost affordable business consulting packages for new entrepreneurs. Its mission is to value human capital and productivity. A small homage to Jay-Z’s inspirational track “Empire State of Mind”. His video was the inspiration for our mail campaign about our Brooklyn Entrepreneurship Class. Jay-Z’s rise to wealth is just one inspirational story from Brooklyn. Brooklyn has had many self-made millionaires from the projects including Howard Schultz, the CEO of Starbucks. Learn more about becoming an entrepreneur with peer support with our Brooklyn Entrepreneurship Class today. Ask any startup founder about the challenges they face, and you’ll hear similar responses: obtaining the funding they need to grow, and gaining access to professional networks with the right connections. Enter SheEO—the solution created by businesswoman Vicki Saunders to help female entrepreneurs overcome these exact challenges. As the founder of five companies, one of which she took public, Saunders understands entrepreneurship. She has raised most types of capital, but believes that the traditional funding model is broken. According to research commissioned by the National Women’s Business Council (NWBC), female entrepreneurs start companies with 50% less capital than male entrepreneurs. SheEO has a bold plan to transform how women-led startups receive funding with a new approach to crowdsourcing. The SheEO model asks 1,000 women, known as ‘Activators’, to contribute $1,100 each to SheEO regional funds. Of this commitment, $1,000 (minus the credit card fee) goes directly into a pooled fund, and $100 goes to sustain SheEO. The pooled funds are then offered as individual loans to 10 female entrepreneurs, known as ‘Ventures’, at a zero-percent interest rate, which is paid back to SheEO over a five-year period. All Ventures are coached monthly and start paying back their loans after three months—in 20 equal payments—over the five-year period. Every quarter, they report on their business impact, and the results are viewable online to the public. Once the money is paid back (SheEO has a goal of a 100 percent payback rate), new loans will be distributed. In an inspiring twist Saunders calls “Radical Generosity”, the $1,100 provided by each Activator is a gift, not an investment. By 2020, the goal is to get a million women in regions all over the world to gift $1,100 dollars each, creating a billion dollars of perpetual capital. In the summer of 2013, Saunders ran an experimental cohort to pair aspiring SheEOs with existing female entrepreneurs in an incubation and mentoring program. The success of this experiment led to the formal incorporation of SheEO in 2014. In the summer of 2015, 500 Canadian women joined together as SheEO’s founding Activators. They collectively raised $500,000 to fund five female entrepreneurs building new mindsets, new models, and new solutions for a better world. Over 240 female entrepreneurs applied for funding in this first round. The final five Ventures were selected in a simple online process, with every Activator eligible to cast their vote as part of the selection committee. The initial five Ventures have already begun to see success from their association with SheEO. To date, these Ventures report an average growth rate of 30%, exceeding their targets. It doesn’t stop there: both Ventures and Activators receive multiple benefits from their participation with SheEO. Activators support one another, do business together, and also become each other’s suppliers, marketers, and advisors. Nadia Hamilton, CEO of Mangusmode, an app that helps people on the autism spectrum live their lives with more independence, has acquired dozens of new corporate sponsors since her involvement with the SheEO network. Activator Suzanne Biegel says that participating in SheEO has put her “in an active relationship” with fellow investors and entrepreneurs. Biegel loves that SheEO encourages Activators to put their ”financial, social and intellectual capital to work on behalf of Ventures, not just when you write your check but throughout the life of that relationship, in a way that’s fundamentally different” from traditional venture models. From connections and introductions to coaching and membership, SheEO is growing into a community of radically generous women supporting one another to create a better world. There are currently four active Radical Generosity regions, and SheEO welcomes both Ventures and Activators to join the movement. In addition to Canada, current active regions include Colorado, the San Francisco Bay Area, and Los Angeles. In 2017, SheEO plans to expand to many more cities globally, based on demand. If you’re interested in becoming a Venture, note that the deadline for this round is quickly approaching. Visit the SheEO website by November 30, 2016, to learn more about how you can get involved. If you’re interested in becoming an Activator, please visit the SheEO website to get started. The story “These women want to fund your business” first appeared on DailyWorth.com. Brooklyn, NY – December 2016 | Good Management & Investments (GOOD) is proud to be the 2017 winner of the CoLab Factory scholarship. CoLab Factory, started by Shane Barbanel, has had an incredible impact on the Brooklyn community and the world-at-large. In June 2016, CoLab Factory hosted 40 TrepCamp students with assistance from CoLab-Factory members, including Propel, Humblee, Rescuing Leftover Cuisine, Coop, and New York Natives. TrepCamp is the main training program for entrepreneurs within the initiatives of the Mexico-United States Entrepreneurship and Innovation Council (MUSEIC). Other Colab Factory peer is the social impact startup Propel, who secured $1.15 million in seed funding. The group of investors who funded Propel is primarily led by Chmod Ventures and included other key investors, such as WinWin, an investor group formed by Coinstar founder Jens Molbak. Good Management and Investments was founded in July 2016 to fulfill the the market’s need for low-cost affordable business consulting packages for new entrepreneurs. Its mission is to value human capital and productivity. Their first business mailing address is the CoLab Factory space at 14 DeKalb Ave, 3rd Floor, Brooklyn, NY 11201 starting mid-January 2017. Some news across the web on women and entrepreneurship, including some thoughts from Farnoosh Torabi on being the female breadwinner. Once a week, preferably Monday, but this post is late, we plan on posting a new track to listen to while at work. This week, it is Solange’s “Cranes in the Sky”. It’s nominated, because it’s a new track with a video that references work. 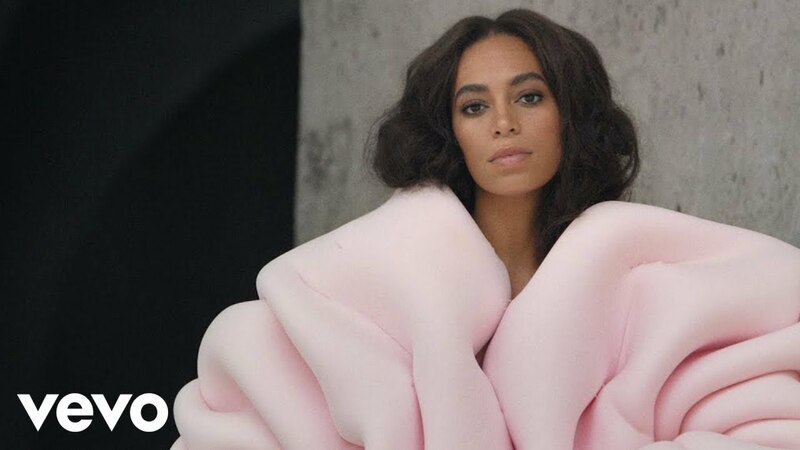 She croons, “I try to work it away.” Solange is musically chronicling complacency, the sense of doing things without true purpose to avoid confronting your true feelings about a topic. Invest in People. The best way to get out of your own complacency cycle is to work or volunteer for others. Whether you choose to work on your community or with your own employees, working with others can help inspire you to learn more about your market audience and your employees productivity. Helping others around you will inevitably be helping yourself in the long-run. Educate Yourself. Self-education is the key to eradicating complacency in your own life. Take time to learn a new skill whether related to your business or not. Taking time for developing your mind will never be something that you will regret. Take a Vacation. I prefer to mix business with pleasure, so take a workcation. Go to a business conference in an exotic location and write it off as a work expense, but enjoy it for what it’s worth. Take your family, friends, or partner and make your business truly something your loved ones are just as invested in as you are. The registration deadline is May 15, 2018.